Eileen Arbogast Obituary - SHINNSTON, West Virginia | Harmer Funeral Home, Inc.
Eileen Arbogast, 78, of Shinnston passed away on Sunday March 31, 2019 at her home. 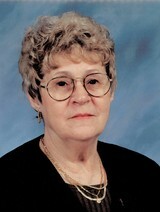 She was born on May 5, 1940 to the late John DeMarco and Fern Opal Parrish. She is survived by her son Terry W. Arbogast and his spouse Dolly; Grandchildren Ian Lesson, Donnie Radabaaugh, Victoria Radabaugh, Camilla Radabaugh, Kristian Radabaugh, River Radabaugh, Whitney Yerace Fain; great-grandchildren, Avery Swiger, Bryce William Swann and Jueles DeMarco Fain; Daughter,Tina Denise Arbogast. Eileen worked at Westinghouse Electric / North American Phillips and went to the Faith Baptist and Owings Baptist church she enjoyed spending time with her family and best friend Louise. She collected baskets and love shopping for home furnishings as she had a decorative touch as well as watching old western movies and working in her flowers. Her family was her passion and she adored her grandchildren. A private grave side service was held on Wednesday April 3, 2019. 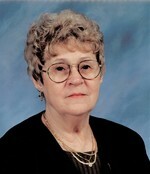 To send flowers to the family of Eileen Arbogast, please visit our Heartfelt Sympathies Store.